This article is shared with permission from our friends at natural-holistic-health.com. No one likes to feel lonely. Feeling like we have no one around us can bring down our spirits and cause us to fall into a slump. This can result in sadness or worse, depression. The below blends can help during times of loneliness. Get your dried, organic herbs, organic essential oils, bulk spices, loose leaf organic teas and aromatherapy supplies at the place where we shop –Starwest Botanicals! Select one of the blends shown above. Then, choose which method you’d like to use the blend – diffuser, bath oil, massage oil or air freshener. Combine oils together and apply in the appropriate manner. Chamomile essential oil is a great soother for the brain. It is known to reduce anxiety and help you relax. It has also been categorized as an antidepressant. “Frankincense oil is one of the top essential oils you can use for your health. It’s known for its comforting properties, and is useful for visualizing, improving one’s spiritual connection, and helping overcome stress and despair. Bergamot oil has been used as a natural antidepressant. This essential oil creates “a feeling of joy, freshness and energy by improving the circulation of your blood,” says Dr. Axe. It can also relax you and help reduce feelings of stress and anxiety. 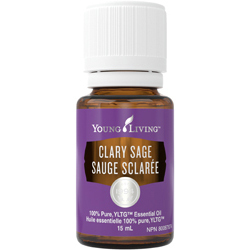 Clary sage oil is a great friend during times of loneliness. Clary sage oil is used to calm the nervous system, especially during times of stress, depression, and insomnia, according to Dr. Mercola.